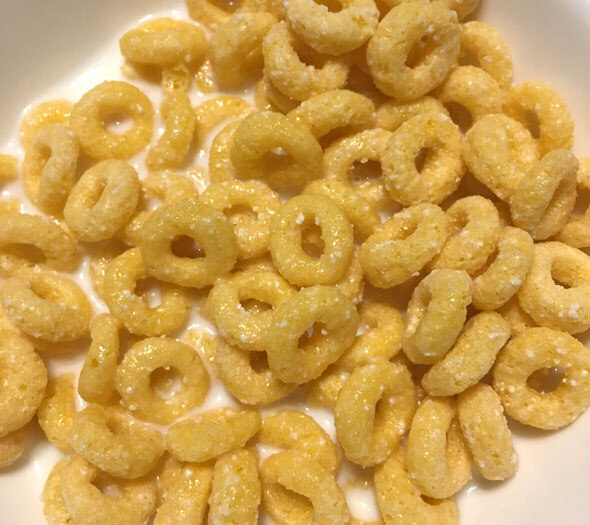 Golden Oreo O's look like oversized Cheerios loops sprinkled with sugar. Eaten dry, the cereal is crunchy and terribly sweet. Without milk, the pieces feel a bit stale. Because of the caked on sugar, it sometimes feels like biting into a sugar cube. The overriding taste might be described as "old vanilla cake." With milk, the cereal is still horrifyingly sweet. 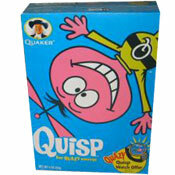 The vanilla flavor is very noticeable and seems more authentic than when eaten dry, The texture of the cereal is gritty. At times, it seems almost sharp, as in... be careful not to cut the roof of your mouth. The cereal stays mostly crunchy in milk for about 7 minutes. Milk at the end of the bowl tastes like you stirred a Tablespoon of sugar into a bowl of milk. While the cereal is slightly better in milk, the gritty texture, the extreme sweetness and the lack of any new flavor makes this cereal a dud. I gave this cereal to a 4 year old and got a thumbs-up, but I felt very guilty letting her try it. The sweetness of this cereal makes Froot Loops seem like Grape-Nuts. I do not recommend this cereal. 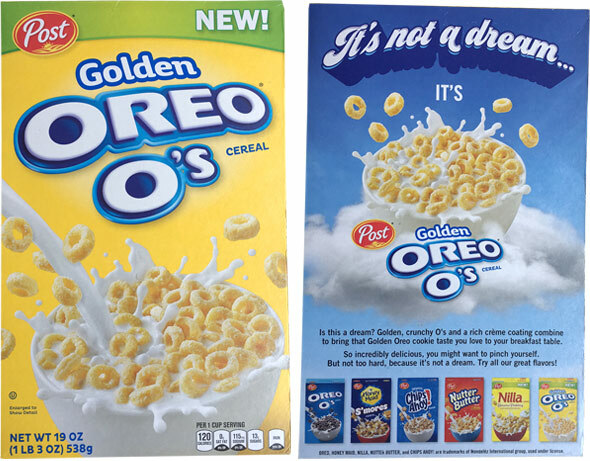 Nutritional Considerations: Each 1 cup serving of Golden Oreo O's has 120 calories, 1.5 grams total fat (0 saturated and 0 trans), 0 mg cholesterol, 115 mg sodium, 25 grams total carbs, less than 1 gram dietary fiber, 13 grams of sugar and 1 gram of protein. 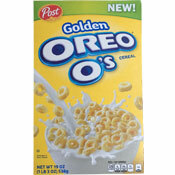 What do you think of Golden Oreo O's?